Potatoe soup? I love potatoe soup I will have to try this. I am so excited you are doing this!!! I have made baked potato soup before, but honestly if you just top this soup with a garnish of bacon, chives and sour cream… voila – baked potato soup!! Great sounding recipe. I make potato soup for special family dinners with my famous sweet dinner rolls. My kids eat all the rolls before the soup! Your blog is brand new and I can already say that it is going to be a keeper. 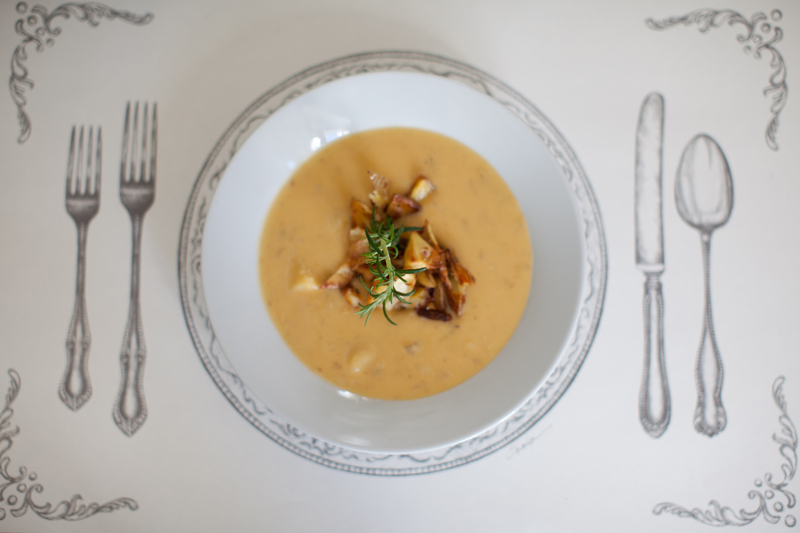 The photos really make me want to have this soup – and I am not even a big fan of potatoes! Looks and sounds wonderful. I am going to make this for a small dinner party next weekend. I know it will be great! Thank you for sharing. Tried the potato soup recipe this evening – yummy! I had to substitute half-and-half for the cream, but it still came out alright. Next time I’m going to try it with unsweetened almond milk for a vegan version. The roasted potatoes on top makes this EXTRA good! Sounds delicious. 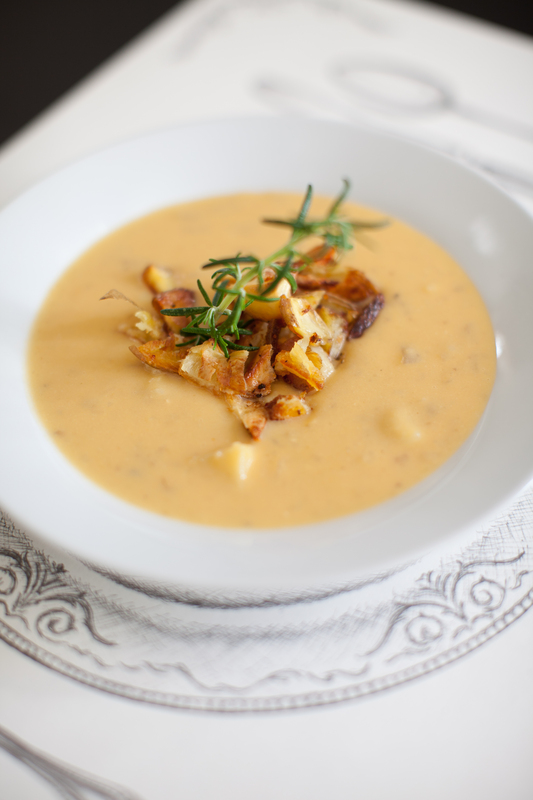 I’ve never made potato soup before and I especially like the idea of the roasted potatoes on top! Healthy soup for winter! Will definitely try this at home.